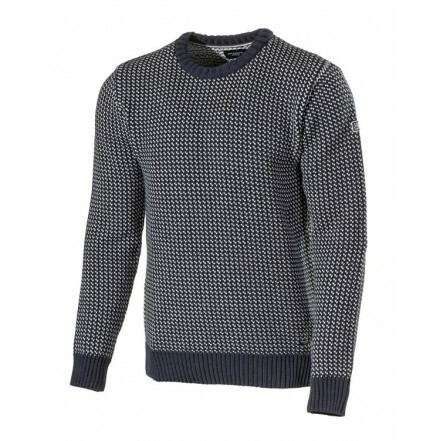 A rough crew neck sweater in pure cotton, with Scandinavian fisherman&apos;s pattern. Cuffs and neck rib is in solid colour, and gives a nice contrast to the pattern. Holebrook leather label at bottom. A really classic Holebrook sweater to wear with your favorite jeans. 100% Cotton- 40 degrees machine wash.